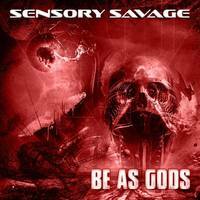 Sensory Savage are an avant garde dark electronica band from the UK. Featuring William Westwater from Fear Incorporated,Voodoo Bible,Exit Strategy and Infra Red and Stephen Curran from Dark Sinfonia The band embraces futuristic dark songs and dystopian atmospheres using synth driven cyber electronica. An album 'Be As Gods' will be released Spring/Summer 2018 on the Dark Ace Records label.